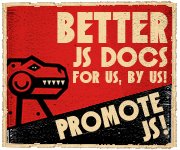 Joose now supports jsonpickle. (At least if you check out the latest SVN). # Use jsonpickle to transform the object into a JSON string. Of course you may add many more methods to your Joose classes and use them like real objects.